UsableNet's Research team reveals the most targeted regions and industries for ADA Web Accessibility related law suits in 2018. UsableNet's research team has complied and published the below Infographic after tracking court cases for the last 12 months. The Infographic and supporting descriptions below help illustrate the significant increase in the number of cases along with the geographic and industry focus of private legal actions. It has been produced to help the industry as a whole communicate the growing importance and urgency that companies should take with regard to planning and implementing best practices to ensure digital inclusion for all. In the first half of 2018, there were a total of 1,054 cases reported which is nearly double the number of reported cases in the second half of 2017. There are two main geographic locations where the majority of cases are being filed: New York and Florida. New York saw a 113% increase in litigation from July 2017 to July 2018. With over 400 law firms defending the cases, there are six top law firms who defend 25% of the reported cases. To read the full text-only version of this report, scroll down past the image below. The steep increase in lawsuits means businesses are at risk more than ever. The Americans with Disabilities Act (ADA) became law in 1990 and makes it illegal to discriminate against people with disabilities in all spaces and areas of public life that are open to the general public. 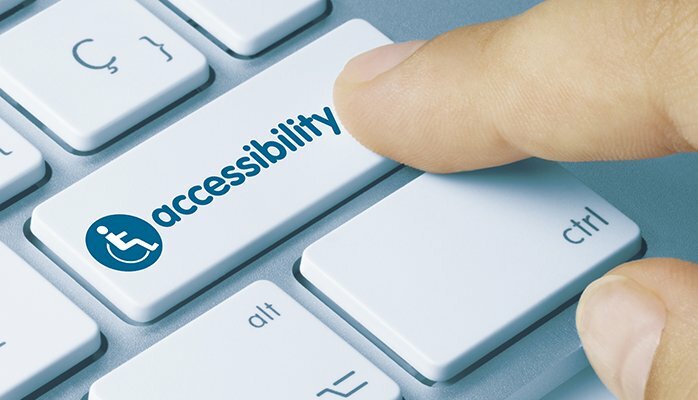 1999: With the rise of the internet and mobile technology the Web Content Accessibility Guidelines (WCAG) were first published in 1999 as a follow-up to the ADA and were updated most recently in June 2018. WCAG 2.1 comprises the universally accepted best practices and guidelines for accessibility on websites and all digital communications. 2017: The federal government adopted WCAG 2.0 levels A and AA in 2017 as the accessibility standard for all government websites and WCAG has been the standard used by the Department of Justice (DOJ) for all web accessibility litigation so far. The graphic now shows that ADA Web Accessibility-related lawsuits are among the fastest growing in U.S. Commercial Law Litigation. Depicted is a small bar graph. 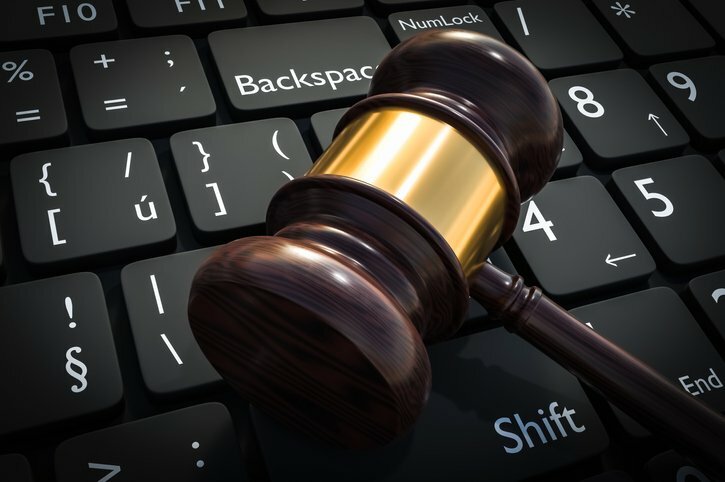 The first bar showing 645 web accessibility-related lawsuits in the second half of 2017; the second bar showing 1,054 web accessibility related lawsuits in the first half of 2018. The next section of the infographic speaks to the highly targeted geographies in the U.S.
ADA web accessibility-related lawsuits are on the rise in the U.S. with the biggest bumps in litigation appearing in New York, Florida, California, Massachusetts, Ohio, Pennsylvania, Texas, and Oregon. There was a 113% rise in web accessibility lawsuits in the state of New York from July 2017 through June 2018. There was a 59% rise in New York, Florida, California, Massachusetts, Ohio, Pennsylvania, Texas, and Oregon combined from July 2017 through June 2018. 384 lawsuits filed related to web accessibility in the first six months of 2018. 20% increase in lawsuits month over month in the first six months of 2018. 31% increase in lawsuits month over month in the first six months. The next section depicts Industry Accessibility. 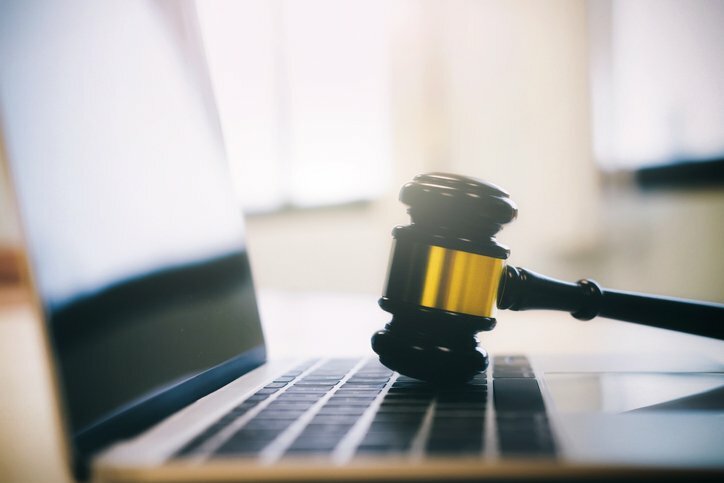 A few industries are getting the most attention from these lawsuits, including Retail, Travel and Hospitality, Food Services, and the Banking and Financial Services sector. A small computer is displayed with the following message across its screen: Today, eight out of 10 Americans shop online, making it more important than ever for websites - and especially e-commerce sites - to be accessible and compliant with accessibility requirements. Next to the computer graphic, you will find the following statistic: More than 40 million shoppers and internet users with disabilities are being left behind- and businesses are missing out in a big way too. Below the computer graphic, you will find the top four targeted industries and their percentages of lawsuits from the total. Retail is top of the list with 31%, followed by Travel and Hospitality with 14% and Food Services and Banking and Financial are both tied with 12%. Next, is a pie chart that breaks down every industry and the percentage of lawsuits from most to least. Retail 31%; Travel and Hospitality 14%; Food Services 12%; Banking and Financial 12%; Other 9%; Self-Service 4% Healthcare is 3%; Fitness and Wellness 3%; Digital Media, Insurance, Entertainment and Leisure, Education and Real Estate Agencies and Properties are all at 2%; finally Automotive, Fuel Industry, and Telecommunications are at 1%. The next major section paints a picture of the Litigation Support. Over 400 law firms are engaged in helping companies. With New York and Florida law firms leading the pack in representation. A small bar graph is shown with the following break down of litigation support: six law firms represent 25% of the total ADA cases; another 20 law firms represent the second 25% and the remaining 397 law firms make up the final 50% of ADA litigation. 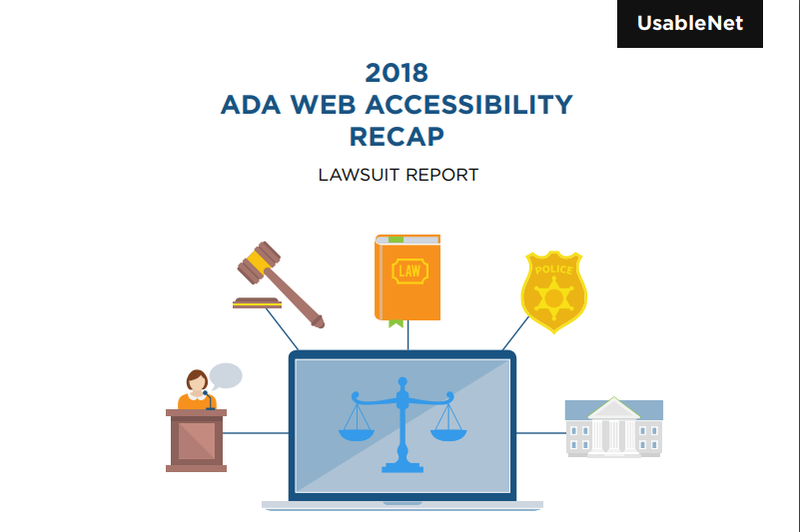 From July 2017 to July 2018, all cases of litigation related to ADA web accessibility rose by 59%. These increases mean that nearly every company with a digital presence is becoming a target for lawsuits. 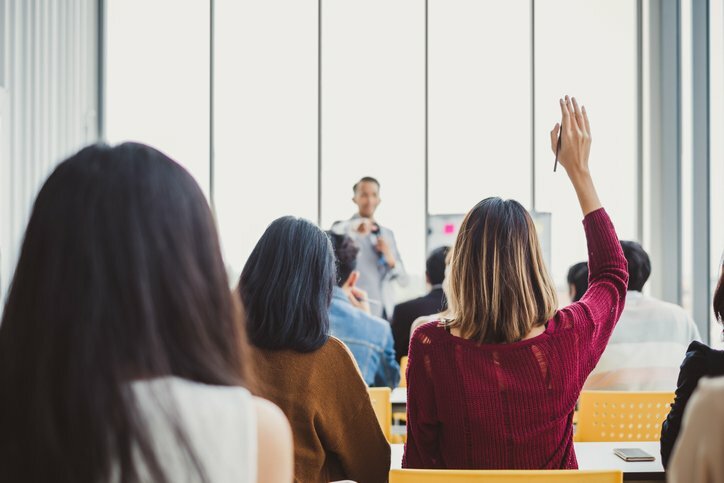 Companies should be prepared to protect themselves through proactive and ongoing web accessibility efforts, and be ready to have those efforts documented and confirmed by outside expert consultants and internal or external legal counsel. Given the current Administration’s aversion to increased regulation, it is unlikely that the DOJ will re-start its website accessibility rule making any time soon...In the meantime, we expect website accessibility lawsuits will continue to be filed at a record pace throughout the United States. No matter what happens, being in conformance with WCAG will ensure your business is proactive, prepared and inclusive of all individuals of all ability levels. 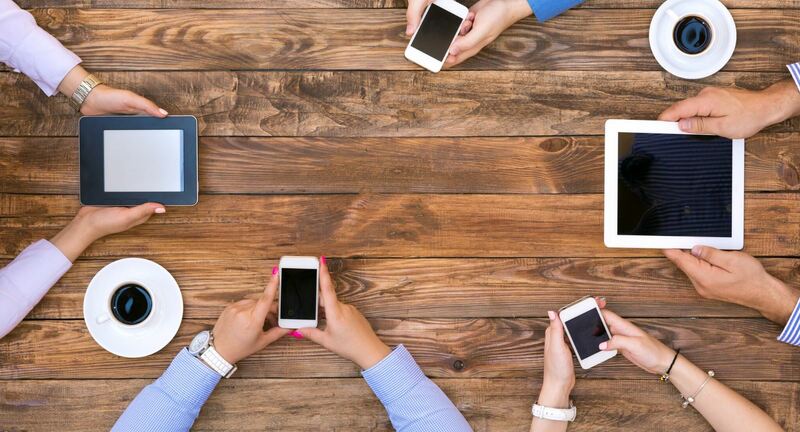 For additional insight, information or support with your web accessibility efforts, check out our Web & App Accessibility e-Book: Your Roadmap to Digital Inclusion. It's a comprehensive and actionable guide to accessibility. Download your free copy here.